Today, Pioneer Square Labs announced the launch of PSL Ventures, a Seattle-based venture capital fund that invests in early-stage technology companies. The $80 million venture fund will invest in companies all over the Pacific Northwest region of the United States. The fund will also participate in financings in spinouts of PSL’s affiliated startup studio. We are excited to back the team and have them as one of our Partner Funds. One of the key reasons we included a Partner Fund investment strategy in Foundry Group Next was to bring our friends closer while also supporting the next generation of outstanding VCs. We think of each partner fund, as well as each individual GP, as a partner in our extended network. Our investment in PSL Ventures serves as a great example of our Partner Fund strategy at work. Seattle has become an important market for Foundry Group. We have been investing directly in Seattle-based companies going back to the mid-1990s and we’ve built up a strong network of entrepreneurs in the city. In 2010, a former entrepreneur from our portfolio. Andy Sack, and our friend, Greg Gottesman, helped bring Techstars to Seattle. It was the second market expansion for Techstars (after Boston) and our relationships there helped prioritize the market. Since then, Techstars Seattle (led by Chris Devore) and more recently, the Alexa Accelerator powered by Techstars, have served as important nodes for our Seattle activities. We also worked with Greg at his prior firm, where we invested in a number of companies together and learned how to work through good and bad moments. When Greg and Ben created an in-house studio program at their prior firm, we tracked it closely and invested in two of the companies that launched from the studio. Then, our Seattle dream team decided to come together and launch PSL in 2015. We were excited to back them in their initial round and we helped lead their second round earlier this year. We think the studio platform is powerful for Seattle and we are excited to be a part of the PSL activities there. While we’ve worked with Greg for a long time, we’ve come to love the whole gang at PSL Ventures. 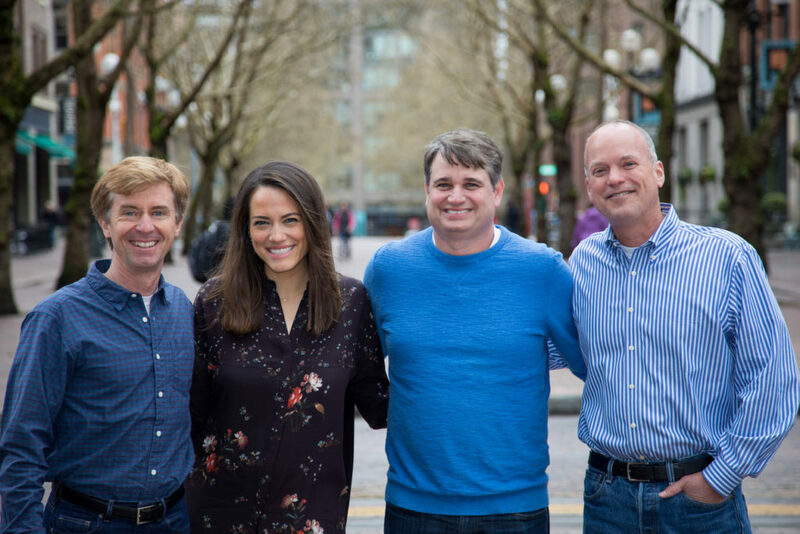 We think PSL and the combination of Julie, Mike, Geoff, and Greg already represent the natural collection point for entrepreneurial activities in Seattle, with reach to the broader Pacific Northwest. We would back this group of general partners in any market but we believe they have a special platform in Seattle and we are excited to be part of their activities across Studio and now PSL Ventures. We look forward to a continued long relationship with the PSL team as they build and invest in the best companies in the Pacific Northwest.